Houghton Mifflin Harcourt, 9780544734142, 272pp. A top pick on FORTUNE’S FAVORITE BOOKS LIST for 2016. LAWRENCE LEVY is a former Silicon Valley attorney and business executive who was personally recruited by Steve Jobs in 1994 as CFO and member of the Office of the President of Pixar Animation Studios. 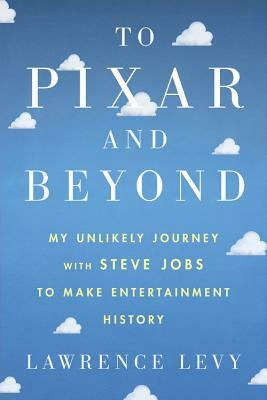 Levy was responsible for Pixar’s business strategy and IPO and guided Pixar’s transformation from a money-losing graphics company into a multibillion-dollar entertainment studio. He later joined Pixar’s board of directors. Levy left corporate life to study Eastern philosophy and meditation and their relevance to modern life. He now writes and teaches on this topic and cofounded Juniper Foundation to pursue this work. Originally from London, Levy earned degrees from Indiana University and Harvard Law School. He lives with his wife, Hillary, in Palo Alto, California.